Fortunately, the damage and rot were minimal after an ice pick test around the perimeter. 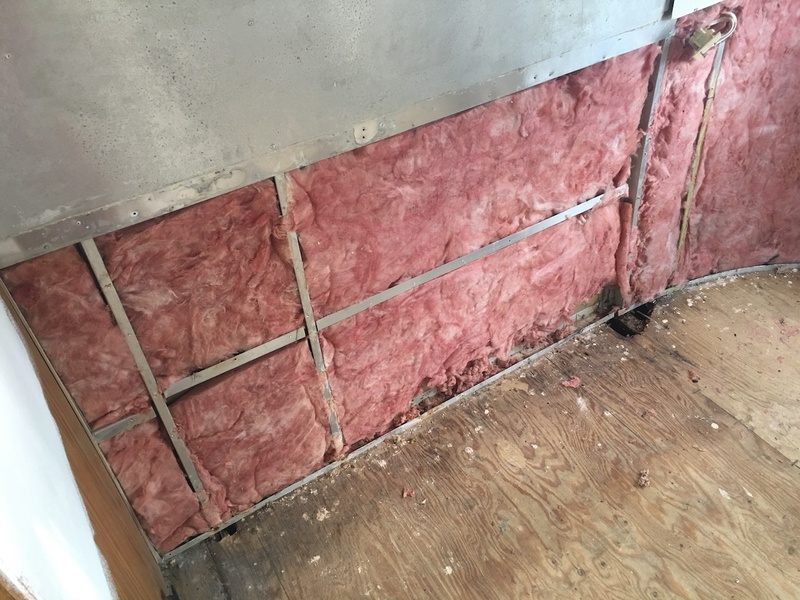 There were just a few isolated spots on the edges where water found its way to the subfloor (none found under the cabinetry, hooray!). 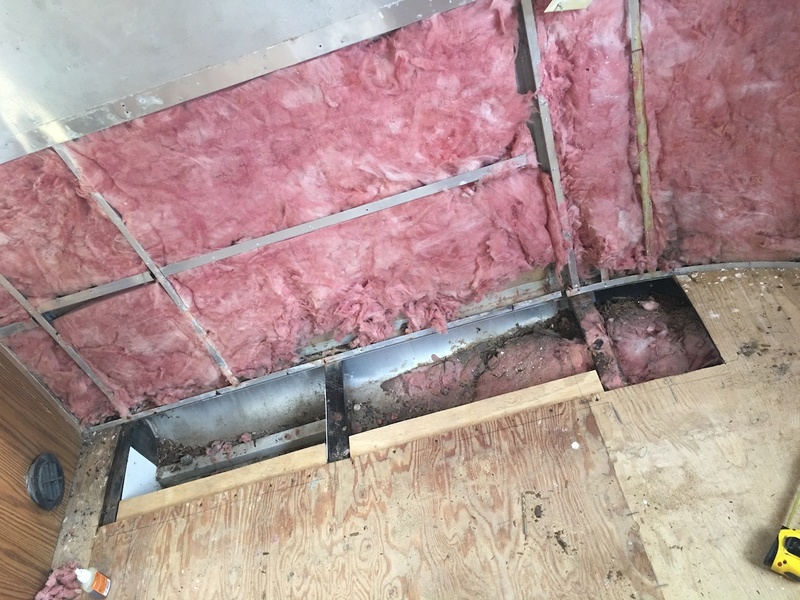 Nothing was currently damp, so perhaps previous owners had fixed the leaks long ago as this trailer has been sitting in the Florida rain for years and recently went through a hurricane. Here it appears that water either found its way from the roof or window. There is also a storage compartment underneath the flooring to the left. I am curious whether these issues were noticed before the trailer was recarpeted and whoever replaced the carpet chose not to repair the subfloor as the carpet did not appear to have been wet in these areas before. 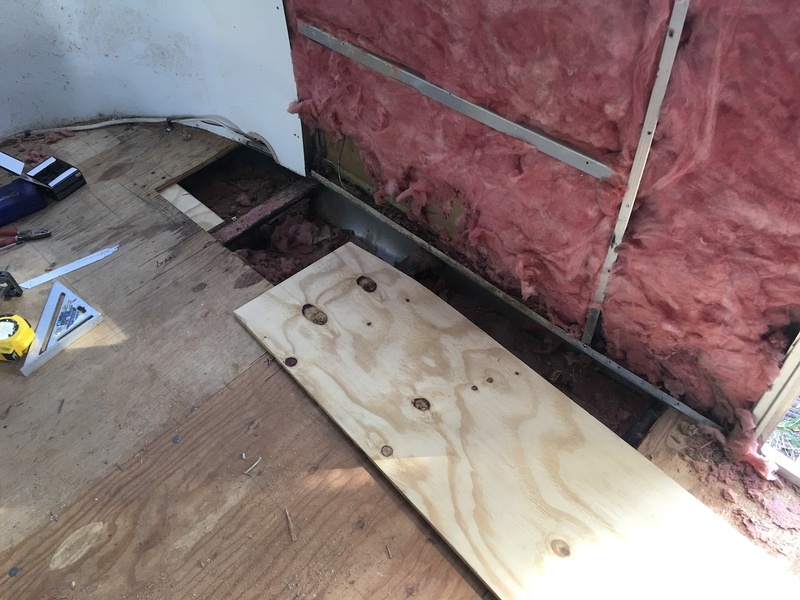 We also plan to reseal the trailer as well so we decided not to replace large sections of flooring. We had to cut out enough so that the sections replaced were securely fastened to the frame and the C-channel. We attached some pieces to the existing floor to eliminate any movement. The pieces we cut were wedged back into the C-channel and forced into place using a wooden block. 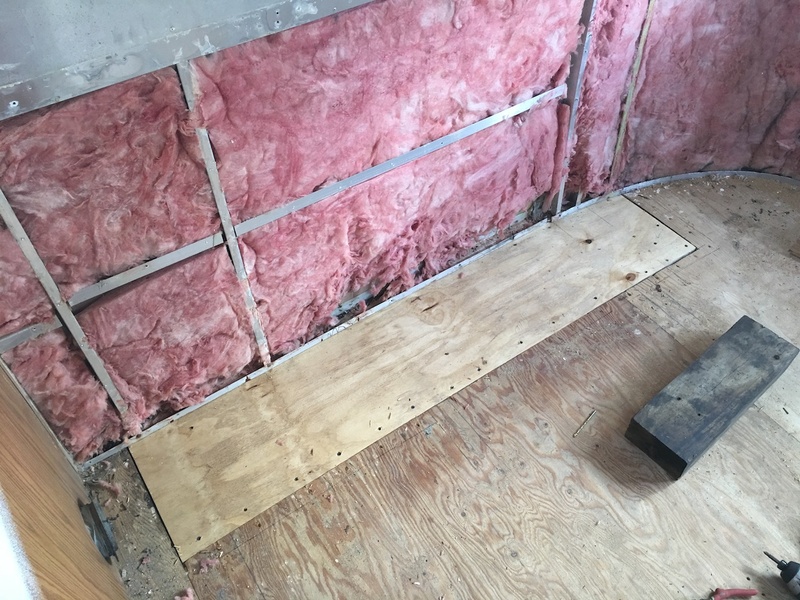 Then we fastened the subfloor and C-channel back to the frame with some self-tapping floor screws. We wouldn’t have done these small cuts if much more of the perimeter of the trailer was compromised. It’s solid. This is another section near the curbside, front window and entry door. We followed the same procedure as above. Again, we’re confident this method resulted in a solid repair. Previous Post:We finally found a truck!